Building a VBA If Else statement is quite similar to building a nested if formulaIF Statement Between Two NumbersDownload this free template for an IF statement between two numbers in Excel. In this tutorial, we show you step-by-step how to calculate IF with AND statement. Learn how to build an IF statement that will test if a cell contains a value between two numbers and then output the result you want if that condition is met inside Excel. The benefit of using VBAExcel VBAVBA stands for Visual Basic for Applications. Excel VBA is Microsoft’s programming language for Excel and all the other Microsoft Office programs, like Word and PowerPoint. The Office suite programs all share a common programming language. instead is that it’s much easier to follow, since nested Ifs tend to complicate with multiple parenthesis enclosures. In a VBA if statement, each If clause is separate from the other, and is instead laid out in order of priority from top to bottom. In the above example, no false statement is present. Thus, if Cell A5 is not YES, VBA will simply skip this statement and move on to whatever code follows it. If Cell A5 is YES, the process contained in the If statement will be run. If the user does want to add additional statements assuming the first If … Then is false, then the first if … then the process should be immediately followed by the Else If … Then statement. There can be multiple Else If … Then clauses in a VBA if statement, as long as each Else If … criteria is mutually exclusive from other Else If or If criteria. End If should close the last Else If … Then statement. In the above example, if Cell A5 is 91, then Cell A6 will be set to Decent Performance. The user can also elect to include one Else statement, which will activate if all other If and Else If statements are false. 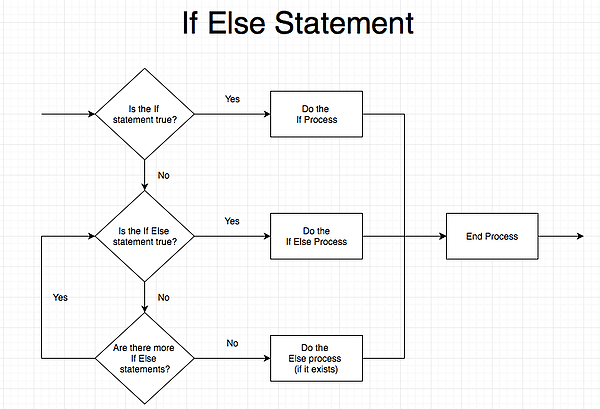 Else statements are not followed by Then, unlike If … Then and Else If … Then statements. End If should close an Else statement, and only the Else statement, if it is used. In the above example, if Cell A5 is 91, then Cell A6 will be set to Outstanding Grade. Else statements act as a “catch-all” and will ensure that one process is run, even if all the other If statements are false. Excluding an else statement may result in the entire if to end if statement being skipped over, if all criteria are false. An If formula in Excel worksheetsSheet Name CodeFollow these steps to get the sheet name code Excel. In Excel, if you want to display the name of a Sheet in a cell, you can use a combination of formulas to display it. Using the sheet name code Excel formula requires combining the MID, CELL, and FIND functions into one formula. will need a clause to perform if the statement is true and one to perform if the statement is false. In contrast, a VBA if statement only needs code to perform if the statement is true. The section defining what to perform if that statement is false is optional. If the VBA statement turns out to be false and no process is defined for a false statement, then VBA will simply skip the if statement and move on to the next process. Learn more in CFI’s VBA modeling course. This is taught in CFI’s VBA modeling course. The VBA If Else statement allows you to set up “gates” that only activate or open when a certain criterion is met. If the criteria are not met, a VBA macroVBA MacrosSetting macros in Excel VBA is fairly simple. The structure for Excel VBA macros involves starting with a sub() line before beginning the macro code. Macros use the Visual Basic Application in Excel to create custom user-generated functions and speed up manual tasks by creating automated processes. will simply skip over that portion of code. In financial modellingWhat is Financial ModelingFinancial modeling is performed in Excel to forecast a company's financial performance. Overview of what is financial modeling, how & why to build a model. A 3 statement model links income statement, balance sheet, and cash flow statement. More advanced types of financial models are built for valuation, plannnig, and, this may be useful for creating a macro that only runs when a net incomeNet IncomeNet Income is a key line item, not only in the income statement, but in all three core financial statements. While it is arrived at through the income statement, the net profit is also used in both the balance sheet and the cash flow statement. cell is positive, for example, or if a stock priceStockWhat is a stock? An individual who owns stock in a company is called a shareholder and is eligible to claim part of the company’s residual assets and earnings (should the company ever be dissolved). The terms "stock", "shares", and "equity" are used interchangeably. exceeds a certain limit. Because of the structure of the If statement and the ability to set different code depending on the value in the criteria, the If statement is also great for creating reactive macros that perform differently based on the situation. For example, a macro can be written for different cases of a valuationValuation MethodsWhen valuing a company as a going concern there are three main valuation methods used: DCF analysis, comparable companies, and precedent transactions. These methods of valuation are used in investment banking, equity research, private equity, corporate development, mergers & acquisitions, leveraged buyouts and finance. An if statement can be used to perform a different action if the valuation follows the base case, the downside, or the upside. If statements can also be used in conjunction with loops. In other words, If statements can contain loops that repeat a certain process. On the other hand, loops can also contain If statements, and will only perform that part of the loop if the stated criteria are met. VBA ReferencingVBA Cell ReferencesVBA cell references allow the user to tell Excel where to look for the data it needs. After creating the macro and declaring the variables, the next step is to create VBA cell references, which actually refer to each variable and that can then be used to manipulate the data within the Excel sheet. VBA MethodsVBA MethodsA VBA method is a piece of code attached to a VBA object, variable or data reference that tells Excel what action to perform in relation to that object. Copying, pasting, and selecting are just some examples of VBA methods that can be performed.